Any cancellation must be done at least 2 weeks in advance prior to arrival date. We accept cancellation or changes through email only. 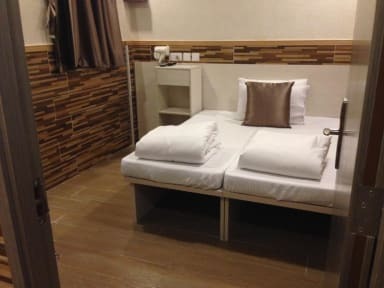 3D Inn is a clean, comfortable and centrally located place for backpackers, young couple, internship and budget business travellers who are looking for a warm, local, homely atmosphere and an affordable quality hostel in Hong Kong. 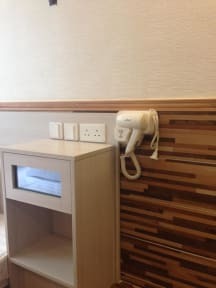 Our guest house offers our guests maximum comfort and value for money in the heart of the HK downtown. Our internet access allows you to keep in contact with friends and family back home, our trained staff are extremely friendly and helpful to make sure you enjoy your stay with us. 2. Check in Time: from 14:00 until 1am, early check in is subject to room availability and advance request is needed by email. 3. Check out Time: 9:00 till 11:00. Guests check out after 11:00 - 5pm will be charged half day, after 5pm will be charged full day. 4. Card and cash both welcome upon check in at the property. Credit card payment will incur 3% extra service charge. 5. Deposit is required upon check in, HKD500 by cash or HKD300 by card for pre-authorization. This is to protect the room facilities and will be refunded upon check out if no problem. 6. Reception opening hour: 9:00am-1:00am. Please specify your arrival time upon making reservation for our easier arrangement. 7. At least 2 days advance notice before check in day for free cancellation and amendments. 8. We are an environmental friendly hostel, please bring your own toothpastes & toothbrushes if possible. Important Notice: Our reception opens from 9am – 12 midnight. All guests check in after midnight will have a one time extra service fee of HKD$50. Guests are strongly advised to come within operation hour.